Are you Running a Business or a Startup? Find it Out HERE! What are the differences between a business and a startup? Which of them are you running? We have written this complete guide to help you find it out. The differences aren't big, but knowing them are essential to successfully run the company. Maybe you have an idea that you are working on. Maybe you are already working, and you think what youâ€™re building is just the baby of a beast that could be revolutionary. How do you know if your business is a startup or a small business? To some degree, both are profit-driven ventures. However, small businesses and startups have very distinguishing characteristics. They are similar -- trade products or services for profit. On the other hand, startups are entrepreneurial by nature in a way that small businesses are not. So, what sets a startup apart from a small business? You need to know these differences so that you can make the right decisions when it is time for you to make a move of your own. In other words, a startup isnâ€™t permanent. By definition, it is a phase; it is an early stage of a small business which has set out on a very specific mission that has potential to expand. Do you want to set up a hot dog stand, a brick and mortar type business, or do you want to make your product or service name so big it becomes a verb like Google? Startups and businesses have different mindsets. There is no single answer for what success is. Ambition is good, but sometimes it can be more life consuming than the well-balanced man wants. Decide what kind of person you are, and whether you want to be a corporate man or woman or if you want to be a founder. Check out this video by entrepreneur Patrick Bet-David who simplifies the idea of the business mentality versus the startup mentality. Startups are problem-solvers. Businesses focus on revenue generation. That is the most straightforward way of describing the business philosophies. Of course, startups also earn revenue, but they are primarily motivated by a thirst to solve a particular problem or change the conversation entirely. Usually, this problem is an underserved market that requires a more specified product or a service. Think Appleâ€™s personal computer when a single mainframe computer filled an entire room. Apple built the first user-friendly computer system for households. Apple was a startup because itâ€™s initial drive was a single vision for household computers that changed everything. Other computer manufacturers were already catering to a different business segment such as enterprises. They were more focussed on generating profits and taking over an existing market by following an existing business model. Startups, on the other hand, shift the views and goals entirely with innovative products and business models. That is how Apple made computers a household necessity. Startups are founded by individuals or a small team. To a startup, the product does not exist in a vacuum without people and customers but in an idea or vision of harmony. Startups are focused on story. That story is the story of a founder or founders and their mission to build something special for the people. Think Google, Facebook, Amazon, and Tesla. The odds are you know who built them, and you know their story. They are all founded and owned primarily by a handful of individuals. The ownership of these startups remain purely vested with only a few people until it becomes mature enough for more funding and public offerings. 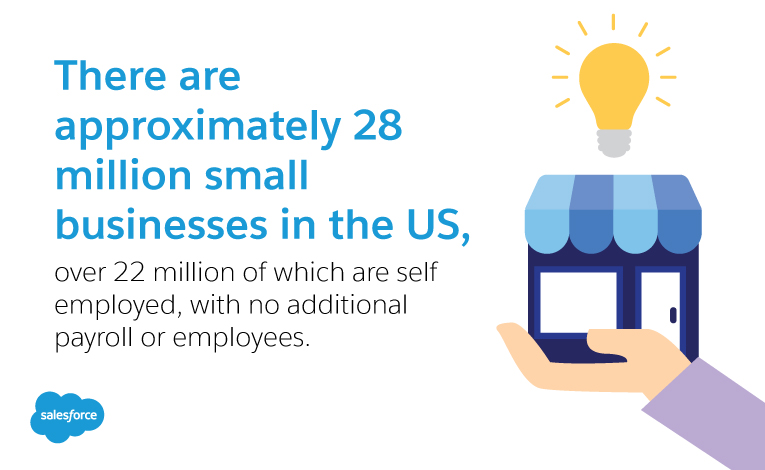 On the other hand, small businesses and larger businesses are largely co-owned. They usually take the form of joint stock companies. Joint stock companies have shares which are bought and sold by the shareholders. Shareholders also vote on important business decisions which are often only focused on the bottom line. Startups can be steered by the decisions and actions of its founder. In fact, a popular quote about startup life is that founders wear the hat of every job starting from the CEO to the janitor. They are the face, hands, and feet of the business until it issues shares and takes public shareholders. Startups and businesses have entirely different approaches to business growth. Of course, both have a positive growth mentality, but it is the vision of growth that sets them apart. Startups are aggressive in nature. They focus on disrupting an existing market with a nice product or service. They think long-term while acting immediately. In most cases, startups may not have an active market. The growth depends on the receptibility of the prospects to something the market may or may not be ready for. Regular businesses, on the other hand, tend to jump into existing markets. What sets them apart is not a revolutionary idea but better quality, service, price, or marketing strategy. Regular businesses also tend to operate in a more corporate or rigid fashion. Changing the status quo in operations or marketing tactics does not happen unless someone comes in and shakes things up. Startups rely on their founders and their personal resources to nourish their growth. They may not have everything, which makes them innovative at using existing resources. Whether itâ€™s running a business or owning a startup, both are inherently risky. For startups and small businesses that are not incorporated or insured, the risks can extend to personal reputation and livelihood. Another risk is the rising threat of cybersecurity. 43% of cyber attacks target small businesses. Cybercriminals know small businesses donâ€™t always have the resources to invest in high-end security measures. Large-scale businesses, on the other hand, have in-house IT teams which monitor every nook and cranny for discrepancies and suspicious activity. One great recourse to secure your company's website is ClickSSL. Cybercriminals will hit anyone, so please, secure your company's website. An exit strategy is a plan to leave the business once the desired objective is achieved. We started with a vision, but what happens if the startup idea accomplishes or exceeds the vision? Many founders have created startups with ideas that took off more than they imagined. Then, seasoned businessmen who see the companyâ€™s potential offer the founders a payout. Founders donâ€™t usually plan to start a business just to sell it, but at the same time who imagines their garage startup to be worth millions to billions of dollars? They then handover the business for a nice chunk of change and often company stock. Sometimes they stay behind to help manage or advise; other times, the founders take that money and set off on a new startup. One example is Ballast Point Brewing. Multiple executives and founders from the local California brewery, which sold for one billion dollars, stayed together to start a distillery now known as Cutwater. Sometimes, exit strategies are not as glamorous. Business may go into bankruptcy or be liquidated by the purchasing company. Larger competitors buyout burgeoning startups just so they can remove the competition. Startups are problem-solvers by nature. They create markets by unearthing solutions that nobody thought of. Normal businesses usually operate in existing market. When you think of a business think of something there are plenty of like grocery stores and car mechanic shops. When you think of startups think of businesses carving out a very unique niche like Tesla with their electric cars and Airbnb. We shouldnâ€™t think of a startup or small business as fully better than the other. Together, they push the needle of global economic activity forward.